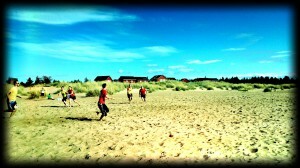 If you want to play ultimate in Oulu, take a look at our practices and join. New players are always welcome! All trainings can be found in Nimenhuuto, where you can also sign in/out for practices. For any kind of information, please send e-mail to info@disquitos.fi.